The Konrad Boehmer Visiting Professorship is an initiative of the Konrad Boehmer Foundation in collaboration with the Royal Conservatoire. This special guest professorship will be occupied annually by a leading innovator in the field of electronic music. The Konrad Boehmer Foundation has launched a guest professorship within the framework of the original objectives set by its namesake, in cooperation with the Royal Conservatoire in The Hague, to promote the practice and study of trends in modern music whose innovative character has as yet no public support. The second Konrad Boehmer Visiting Professor is the Argentinian composer Horacio Vaggione, who will be resident in The Hague during April and May 2017, and will give lectures on aesthetics and on the underlying technical procedures embodied in his electronic compositions. Additionally Vaggione will give individual composition lessons, and his work will feature in a number of public concerts. The Konrad Boehmer Visiting Professor for the 2017–2018 season will be announced during Vaggione’s residency. 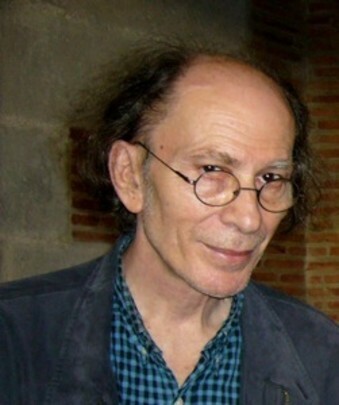 Horacio Vaggione (Argentina, 1943) is a composer of electroacoustic and instrumental music whose pieces are often scored for performers and computers, as well as for fixed digital audio media. He studied composition at the National University of Córdoba, Argentina (1960–1965) then at the University of Illinois with Lejaren Hiller and Herbert Brün (Fulbright Fund, 1966) where he first gained exposure and access to computers. In 1983 he received a Doctorate in Musicology at the University of Paris VIII. Since 1978 he resides in France, working at IRCAM and INA-GRM in Paris, and IMEB in Bourges. In 1987–1988 he was a resident of the DAAD Berliner Kunstler Program, working at the Technische Universität Berlin. Since 1989 he has been Professor of Music (Composition and Research) at the University of Paris VIII. In 1996 he founded the CICM (Centre de Recherche Informatique et Création Musicale). Since 2012 Vaggione is Professor Emeritus at the University of Paris VIII. Composition Prizes: Newcomp Prize (Cambridge, USA), Euphonie d'Or (Bourges), ICMA International Computer Music Association Award (USA), Giga-Hertz Produktions Preis (ZKM, Karlsruhe), among others. Writings and research papers: 54 papers, published in Proceedings, books (MIT Press, L’Harmattan, Routledge) and specialized journals (Computer Music Journal, Contemporary Music Review, Journal of New Music Research, Musica-Realtà, etc. ).